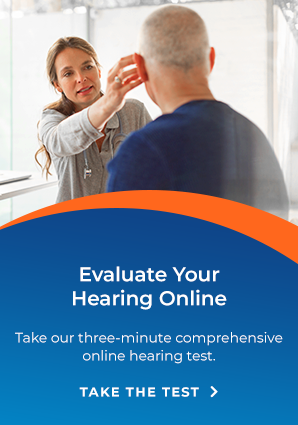 Whether you're looking to get your hearing tested and have questions, or you already have hearing aids and are looking for resources, we at Arnold Hearing Centres in Kitchener-Waterloo, Guelph, Mount Forest and Simcoe have laid out the most common questions, answers and resources below. Which hearing professionals work at Arnold Hearing Centres? Will I see a new face each time I visit? We try our best to make sure that the professional that did your test and helped you choose a hearing aid, will be there to help with ongoing service. All of our hearing professionals are fully licensed, be it a hearing instrument practitioner or audiologist. You do NOT need a doctor referral for any of our services. If during one of our examinations we find any abnormalities, we will refer you back to your family doctor. A visual examination of the auditory canal and the eardrum with an otoscope. An examination used to test the condition of the middle ear and mobility of the eardrum. Word Recognition to determine a percentage score reflecting your ability to discriminate single syllable words from a phonetically balanced word list. Speech Reception Threshold to help us understand how well you hear in conversations. A hearing test that determines the faintest tones a person can hear at selected pitches from low to high. A final and succinct explanation of your test results. We base our recommendation on both the information from your case history as well as your hearing test. We offer a range of hearing aid manufacturers in a variety of technology levels, styles and price points. We give you our recommendations, but ultimately the decision is up to you. What's involved in a hearing aid fitting? The fitting appointment will also include instructions and direction on how to use and care for your hearing aid. Do you offer any ongoing care or follow-up support? Follow-up appointments that may include cleaning, adjustments, and in-office repairs. Warranties. Most hearing aids that we dispense come with a three-year manufacturer warranty. What if my hearing aid malfunctions? Most of the time we can repair your hearing aid right in our offices. Just drop-in during our operating hours and we’ll get to it as soon as possible. If it requires a further repair, we will send it to the hearing aid manufacturer for you at no charge if you’re still under warranty (repair fees do apply for hearing aids out of warranty). Why was I asked to bring someone with me to my appointment? We ask everyone that comes in for a hearing test to bring a companion with them. The reason is that its always good to have a familiar voice with you. It helps when explaining the results of the test, as well completing the case history. Hearing aids are a big investment financially, but they’re also an investment into better hearing. Prices can range from approximately $500 to over $4,000 and are determined by many factors. Those factors include your hearing test results, your lifestyle, hearing aid style and more. Our trained professionals will make a recommendation based on those factors and work with you to find something that both suits your needs and makes you comfortable.